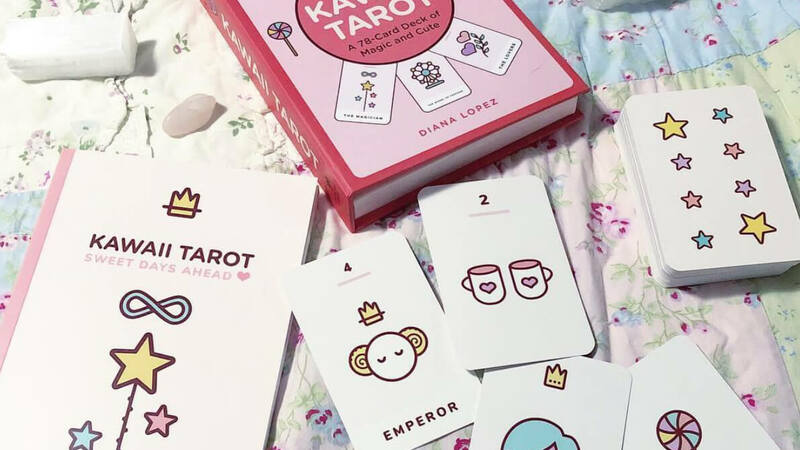 Kawaii Tarot is a personal project. I designed a set of tarot cards because although the intricate artwork typical of most decks was beautiful, something about them just didn’t resonate with me. I first fell in love with art when I found out about the internet and took up drawing pixel sprites of cute characters like Hello Kitty. 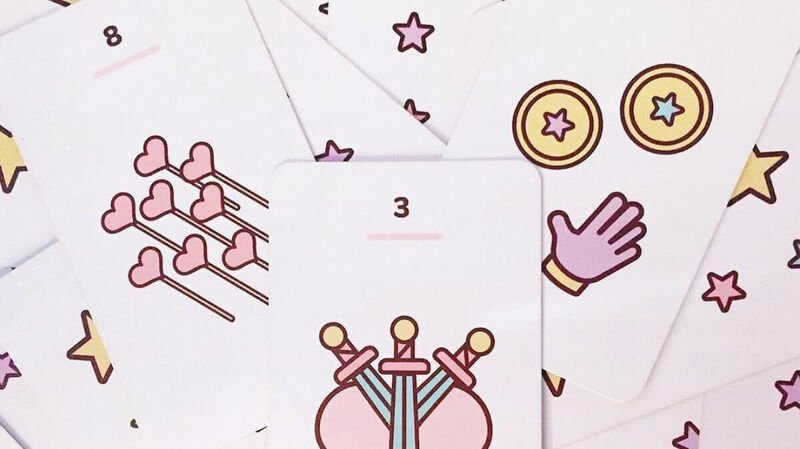 So, I made my own deck with minimalistic—and cute!—artwork. The first thing I did was design each of the 78 tarot cards. 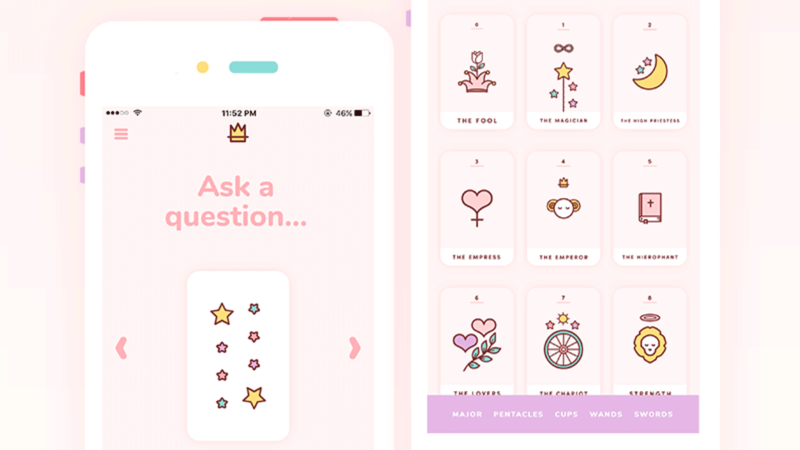 I used a color and symbols system so that the cards would be full of meaning even when the illustrations were (so refreshingly) simple. I developed the app in the Ionic Framework which allows it to be both an iOS and Android app from one code base. I submitted and was accepted into both app stores in May 2017. The app has over 30,000 downloads with over 10% of those being active daily users. After marketing the self-published cards on Instagram, an editor found me and signed me on to Sterling Publishing. My cards are now available in some Barnes & Nobles as well as Amazon and other bookstores, together with a book that I wrote.